Click on Pieces in the left-side menu. 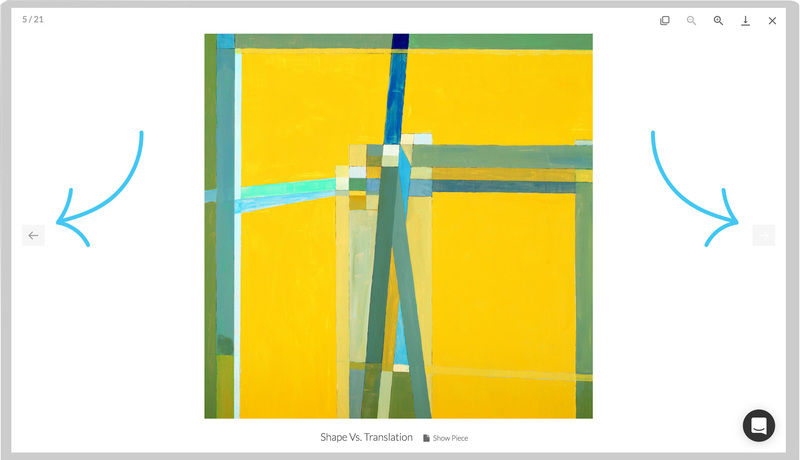 Hover over the image of a Piece and click on the arrows in the top right corner. You can click the arrows to the left and the right of the image to scroll through the slideshow. 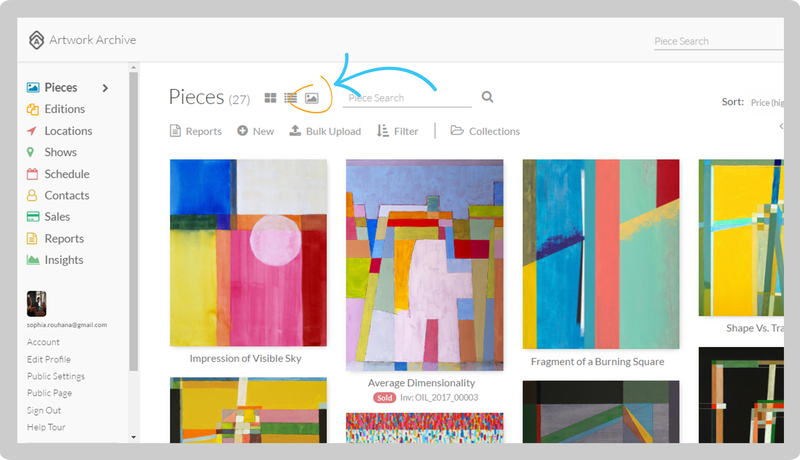 You can also click on Pieces in the left-side menu, then click on the mountain icon at the top to view your pieces in presentation mode. Helpful tip! 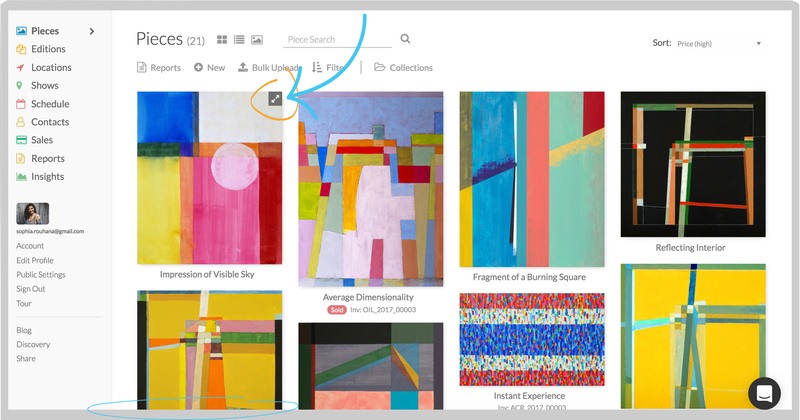 You can present your collections in slideshow view by clicking on collections and then clicking on the presentation (mountain) icon.